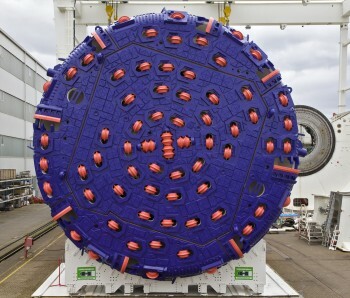 With inspiration from the Norwegian flag, the third TBM has a big blue cutter head with 71 red cutter discs. 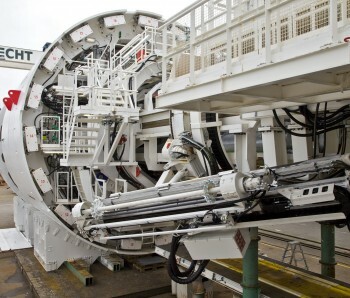 It is 150 m long, will excavate with a diameter of 9,96 m and planned excavation speed is 12-15 meter pr day. 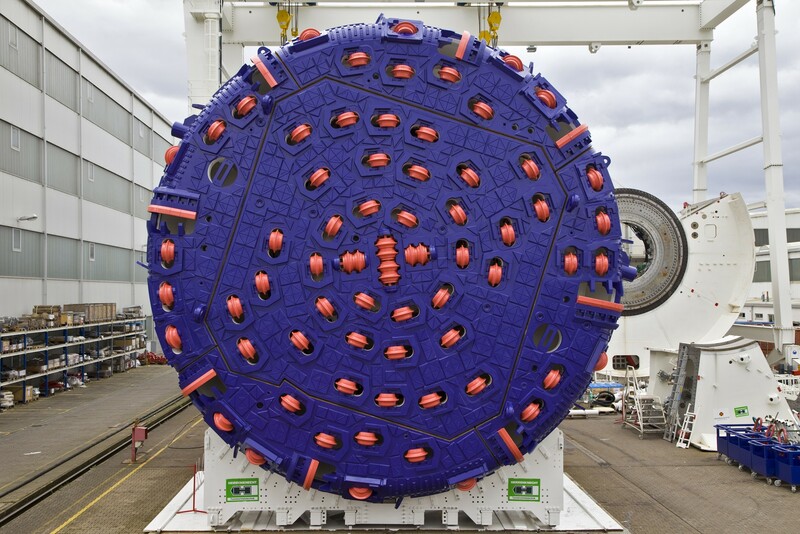 In total four TBMs will excavate the main part of the 20 km twin railway tunnel between Oslo and Ski, which will be Scandinavia’s longest railway tunnel when it is completed in 2021. 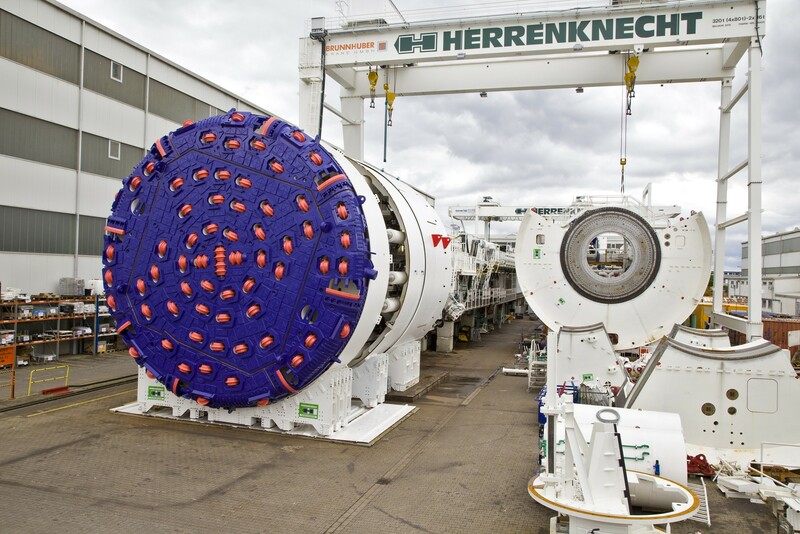 This third TBM is the first completed machine to participate in the southward excavation, together with the one remaining TBM still under production in Germany. 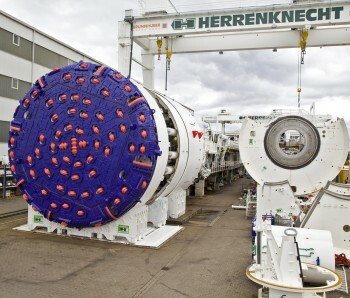 Assembly of the two first TBMs have already started inside large assembly chambers at the construction site in Norway. 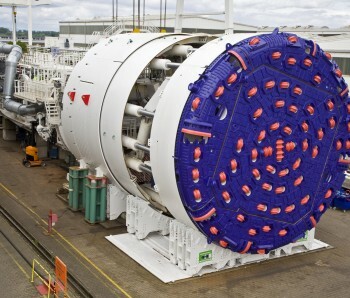 The third TBM will now be disassembled and shipped to Norway and the construction site. 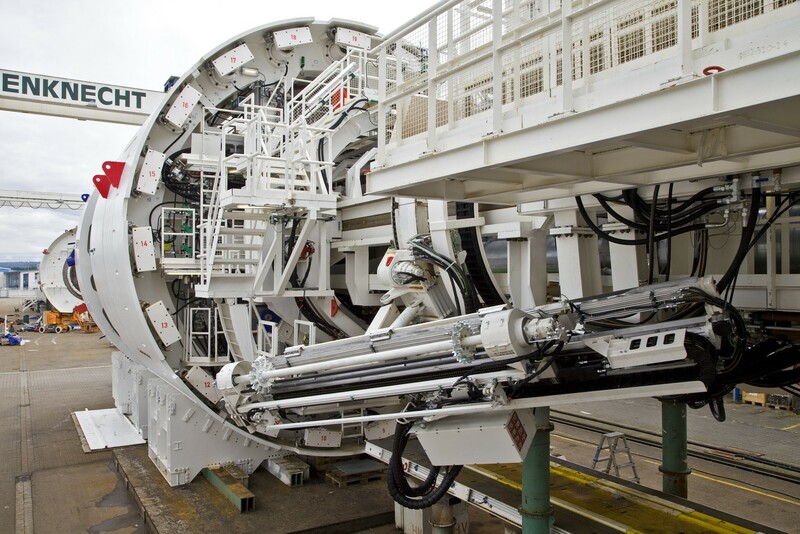 Planned excavation start is in October 2016, and it will use about two years to complete its 9 km journey. 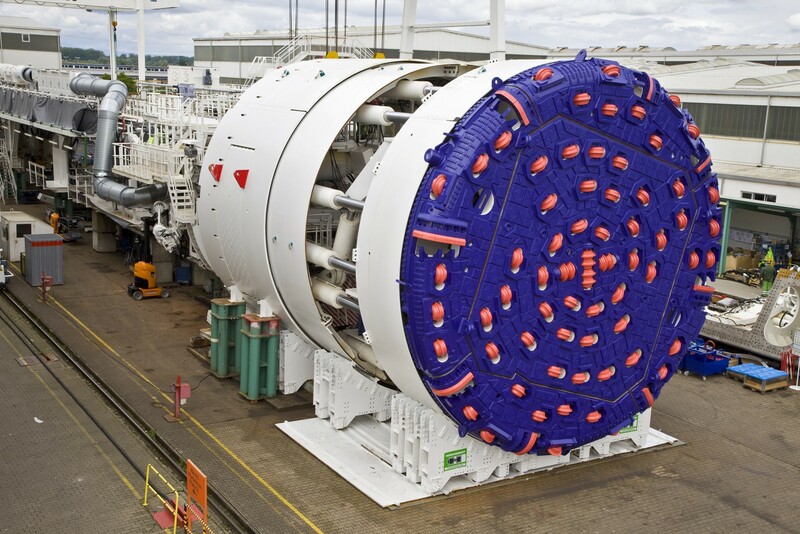 Read more about the TBM-assembly.